I’ll be honest, Juli and I have really been missing Scandinavia. It’s getting warmer and brighter outside, and we are a bit too quick to start dressing like it’s summer. 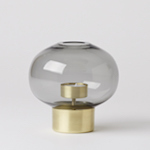 I think we are already in summer mode, and when we think of summer we can’t help but think of Scandinavia. This week I needed to get my fix somehow and what I really wanted to have is that quintessential Danish lunch. 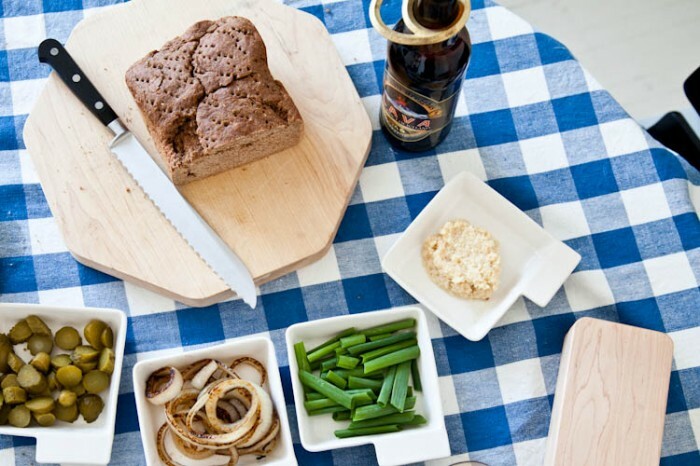 If you have visited Scandinavia you know that lunch is king, and there is nothing more enjoyable than sitting outside, beer in hand, eating a Smørrebrød with toppings piled high. I was feeling a bit ambitious this week, and my craving for a traditional Smørrebrød became unbearable. It was going to take 2 days to complete the final result, and it all started by making a loaf of Danish dark rye bread or Rugbrød. Now there are many different ways of making Rugbrød, but the recipe I found contained beer and buttermilk, which sounded delicious. Bonus: we were able to use up the buttermilk to makes some amazing pancakes this morning. That’s right, we’re working our fridge like it’s 1940. This was the first time I’ve made Rugbrød and not knowing how thick bread can be I thought I would be able to easily mix everything by hand. I ultimately triumphed but it was exhausting – I started at 3, and the loaf was finally finished baking at 6:30. I put our roast in the oven to have for dinner, and saved some nice thin pieces for our Smørrebrød lunch the next day. A Smørrebrød can be as simple or as complicated as you want it to be. 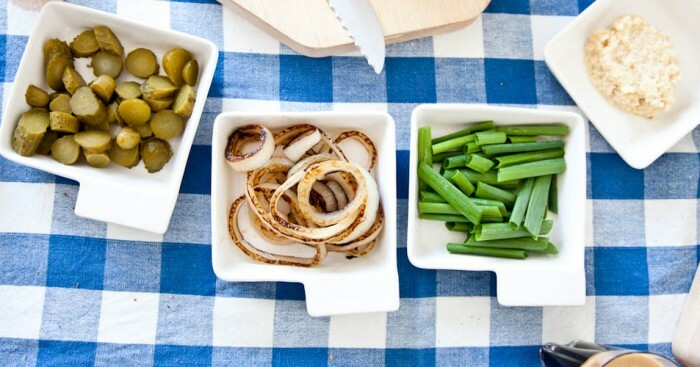 The beef version is just at the end of its season, whereas in spring the most popular dish usually contains small shrimp, dill, and lemon because the shrimp are harvested at this time. 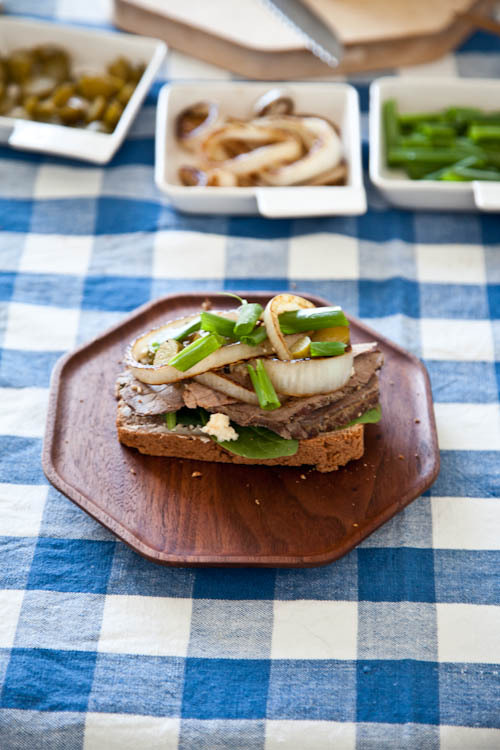 This is a beef Smørrebrød with butter, a bed of spinach, fried onions, chives, pickles, and of course fresh horse radish. More traditional versions may also include liver paste and meat jelly, but this recipe was good because it used ingredients readily available at the local grocer. 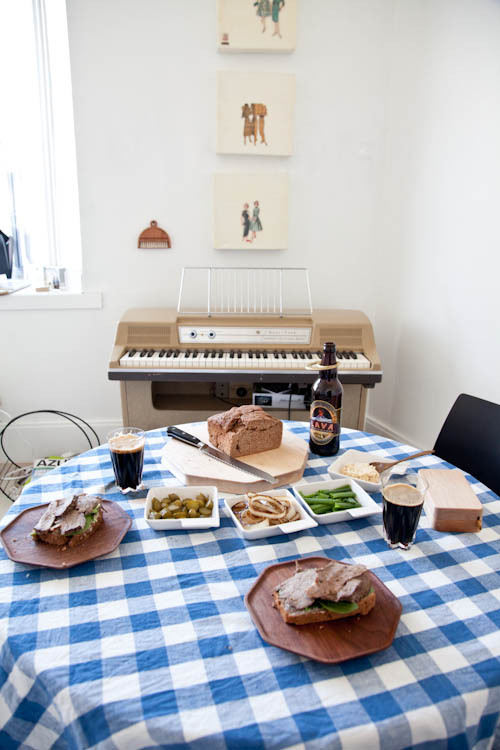 Today we had a proper Scandinavian lunch, with table cloth and all! We also had some beer – such a novelty for us during the work day! 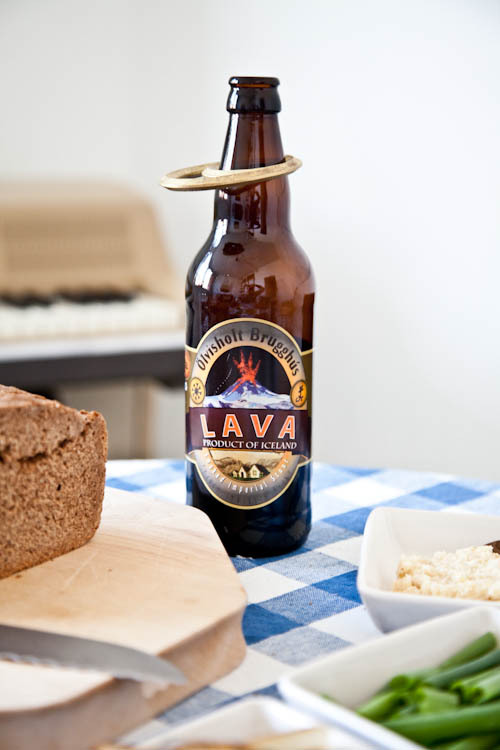 This “Lava” beer comes from Iceland. Kevin Kelly, a new friend of the store has been importing Icelandic beers and they are now available at the LCBO. He dropped off a few bottles for us to try! 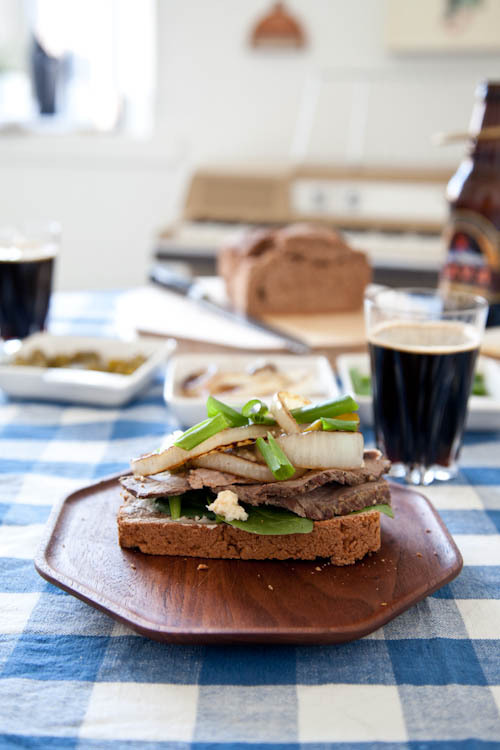 I used the dark “Lava” beer to make my bread so it complimented our lunch perfectly. There is also another beer called Skjalfti that I’m recommending everyone try this summer as it’s much lighter than the lava and would be great with a lime wedge. Now there is no shame eating your Smørrebrød with a knife and fork. It is actually preferable to stack so many toppings that the dark rye bread cannot be seen, unfortunately from this angle it looks as if I was a bit skimpy, but trust me this guy was big!